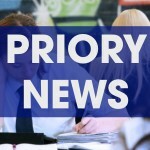 2017 is a special year at Priory Integrated College, marking 20 years as an integrated college. 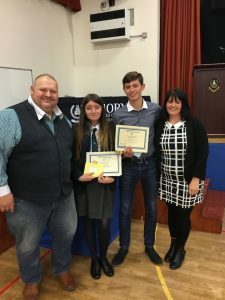 The celebrations began last Friday with the college’s annual Celebration of Achievement Afternoon, when pupils past and present received awards for academic achievement, sporting endeavour, creative and expressive arts, charity and community work. 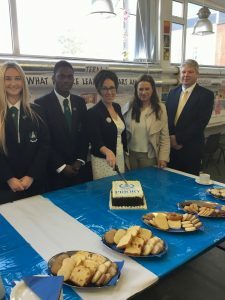 ‘Being integrated isn’t an easy option,’ said Mrs Magennis in her address. ‘It doesn’t mean simply bringing children together in one place. It’s about ensuring every child enjoys parity of esteem. 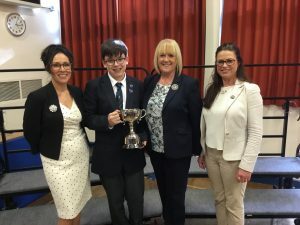 In everything we do, we must engender in every child an enjoyment of diversity and a realisation that difference is not something to be afraid of.’ And there is clearly a demand for integrated education in the area. 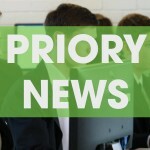 This year Priory once again received a record number of applicants to year 8, and is now one of the most oversubscribed schools in the area. Today the College is a diverse and welcoming environment for pupils from a wide range of primary schools across the area and from all sections of the community. 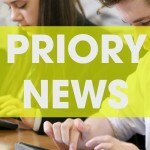 Integration is not the only reason for Priory’s ongoing popularity. In August 2017, almost 80% of its Year 12 pupils achieved at least 5 GCSE qualifications at the top grades of A* – C, with many including English, Maths and Science, qualifications that are vital to those who aspire to higher education. At A level, Priory’s results continue to be outstanding, with 78% of students achieving top grades in three or more subjects and all pupils achieving at least 2 A levels at A*-C, an outcome which compares very favourably with other schools in both the selective and non-selective sectors. 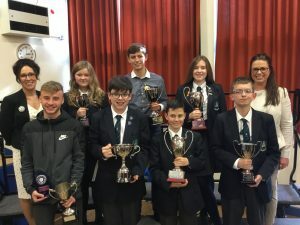 Many of these young people are now studying at university here in Northern Ireland and throughout the UK, including a number of students who took time out from their studies at Queen’s University, Belfast, to be at the college on Friday to receive their awards. 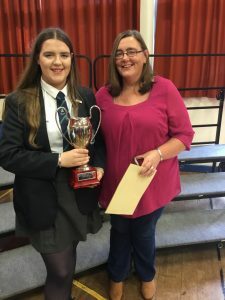 Shannon, last year’s Head Girl, won the Principal’s Prize for Achievement at A Level and is now studying for a BA Honours degree in Business Management at Queen’s University, Belfast. 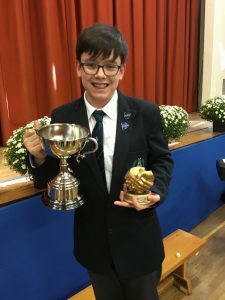 Rhys was awarded top student in BTEC Level 3 Sport and is now studying for a BSc Honours degree in Psychology also at Queen’s. 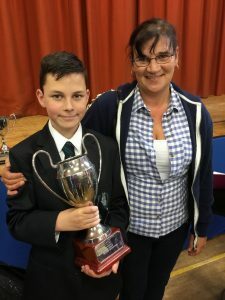 Marcus, last year’s Head Boy, received The Attendance Cup and The Charity Work Cup. 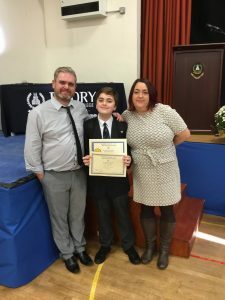 Marcus is now studying to be a teacher at Stranmillis University College, Belfast. 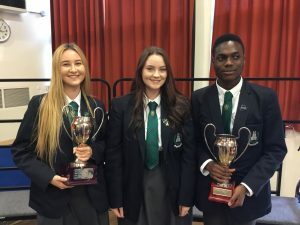 Amongst the other prize winners this year were: Thomas (Principal’s Prize for Achievement at GCSE), Nicole (Performing Arts Cup), Robert (Male Extra Curricular Cup), Bryony (Female Extra Curricular Cup) and Cohen (20th Anniversary Cup for Enhancing Integration).